Envelopes provided in pink, red, beige, purple or white. Printing for inlay wordings included. To inquire about this wedding invitation card, please contact us for quotations. 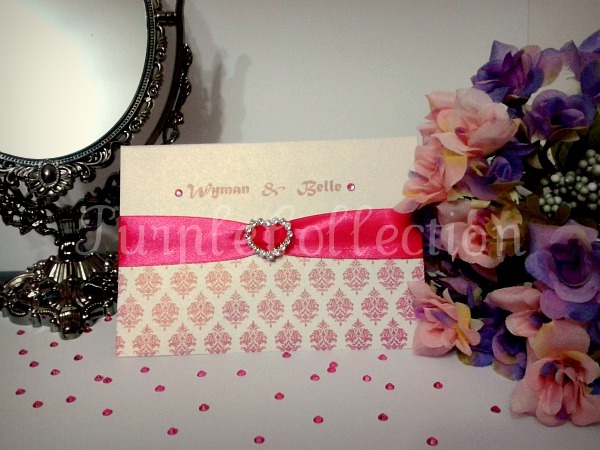 To view other wedding invitation cards, please proceed to category under wedding cards. Thank You for browsing!